We know that if kids are going to grow up to love and follow Jesus, we must help them develop a strong faith foundation. The kind of faith that can withstand humanism, attacks on the validity of God's Word, evolution, secularism and postmodernism. So how are we doing with passing down a tested, proven faith? The term "Relaxed Religious" describes the shallow faith and commitment parents and churches are handing to the next generation. 29% believe spiritual energy can be found in physical objects. 68% believe in the God of the Bible. 54% think Hunger Games is in the Bible. 34% think Harry Potter might be in the Bible. 24% believe the Bible is the Word of God. 26% view the Bible as a book of fables, legends and history. Take a closer look at these findings and you'll see the main reason the next generation is not developing a strong faith foundation, is because we aren't giving them what they need to build one. Jesus talks about this type of shallow, surface faith in Matthew 13. Here's what He says..."
I believe WHAT we teach kids is more crucial than ever. We only have a limited number of weeks to help kids develop a strong foundation. And we have a limited number of weeks to influence parents to grab hold of their role as the primary spiritual influence. We must move beyond teaching kids to be good and begin teaching them solid doctrine, while helping them apply and live out that doctrine in their every day lives. I've developed a solid curriculum that teaches kids 12 great Bible truths in a year. You can see some samples at this link. The lessons use fun, games, interactive teaching, discussions, etc. to bring the doctrine in ways kids will engage and be excited about. 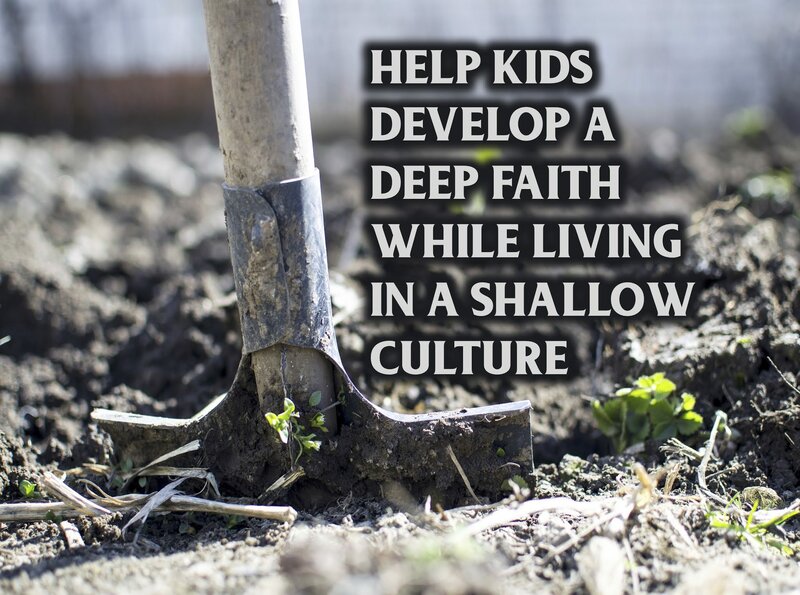 I believe we must help kids develop a deep faith that won't disintegrate when the pressure is on. Matthew 13 shows us that a shallow faith will wilt when the heat is applied. In many ministries, kids are being handed a shallow faith that simply won't survive a college classroom, secular room mate or a debate in a coffee shop. If we are going to see kids' faith last, then we must teach them why we believe what we believe. Why do we believe Jesus is the Son of God? Why do we believe God created everything? Again, the curriculum lessons I've created cover these and other key questions that will help children know the doctrine and why it is true. We must also set parents up for success and give them the tools they need to help their children develop a deep faith. A big opportunity to do this is engaging with families in spiritual milestones. These are key times in a family's life when you can equip parents and help them catch the vision for leading their children spiritually. See more at this link. At the end of the day, we must remember that while we may teach what we know, we produce what we are. This means first foremost, we must have a deep, growing faith ourselves if we are going to see our kids have the same. Dale, I absolutely agree. Can you provide a reference for the statistics you shared please?